I know there are plenty of third party keyboards available for iOS, and some of them will do this kind of thing. However, there will always be limitations in iOS, most notably, the requirement to enter passwords with the stock iOS keyboard. That is why I appreciate this small, but welcomed addition to the iPhone’s keyboard in iOS 11. Now, you can easily move the keys to one side or the other, and then just as easily go back to the normal keyboard layout when you are done. 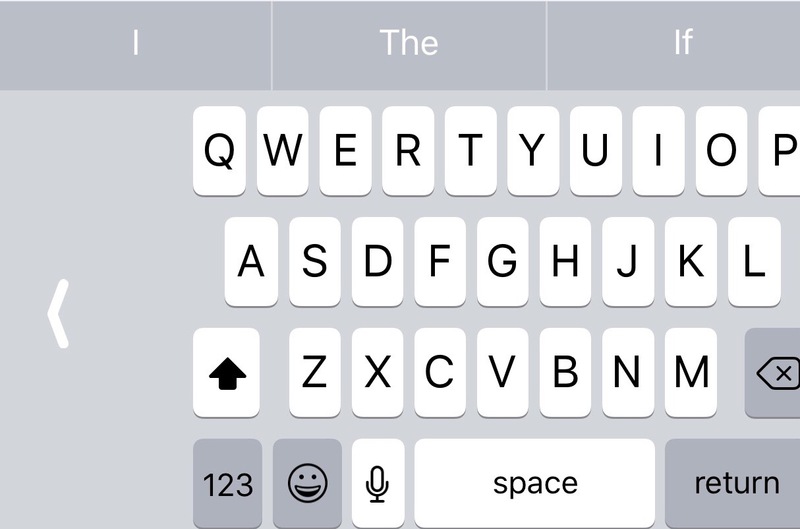 To trigger the One Handed Keyboard, simply long press on the Emoji key on the bottom row of the keyboard. As you can see outlined in red above, this triggers a pop-up where you can not only choose between your keyboards, but also change over to One Handed Mode. To go back to the normal keyboard layout, just tap the arrow opposite the side you shifted the keyboard to. The strength of this new feature is in how easy it is to get in and out of. No complications here once you know how to use this feature. It’s a small thing, but that little bit of squeeze to the side makes a big difference when typing with one hand. I know that one-handed typing can also be aided by swipe-style keyboards like Swype and SwifyKey. However, when you use them, you lose the ability to trigger dictation without changing back to the stock iOS Keyboard. One of the advantages of this built-in One Handed Mode is that the Dictation mic button is still available. What do you think? Have you seen or found this feature already? If so, do you find it useful? 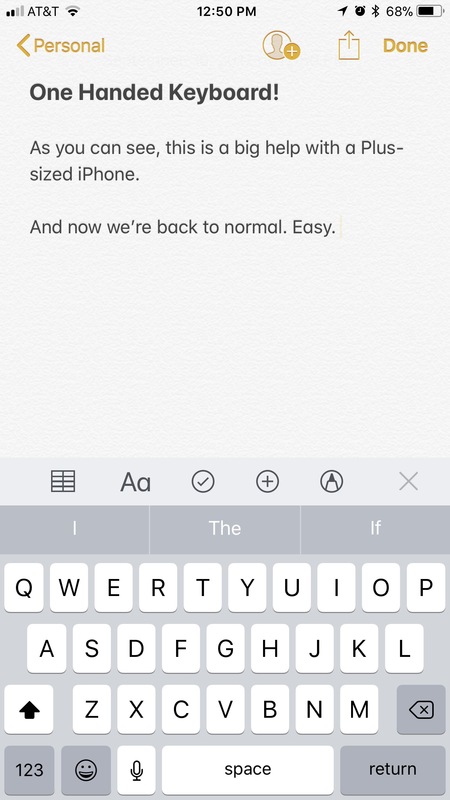 Let me know what you think of the new One Handed Keyboard Mode in iOS 11 in the Comments section below, on Flipboard, on our Facebook page, or on Twitter @iPadInsightBlog. Previous PostiPad Pro $100 off at BestBuy Again- Last DayNext PostWho is Still Gaming on iOS? 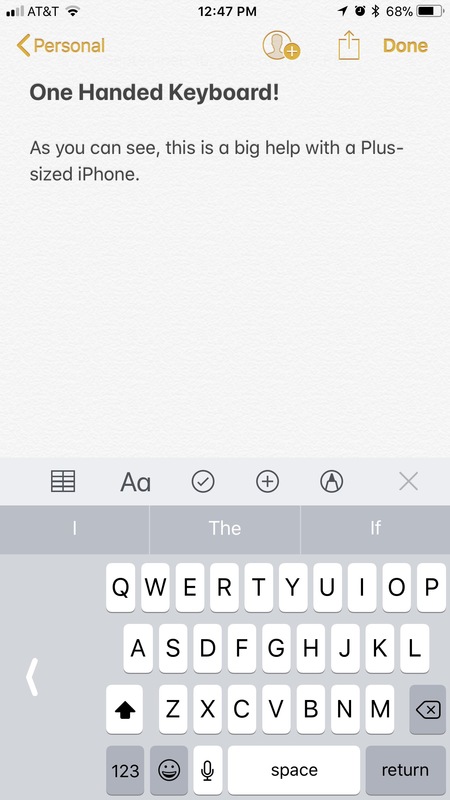 Got anew iPhone 8 the keyboard won’t show the small keboards when holding down the emoji key. I may know what’s going on here. Evidently, this pop-up menu will only work if you have multiple keyboards enabled. Most users have the Emoji KeyboRs turned on these days, but if you don’t, this quick switch directly from the keyboard won’t work. If this is the case, you have two options. First,you can go to Settings-General-Keyboards and enable the Emoji Keyboard. This should also add the One Handed Keyboard icons to the pop-up menu. It may also change what may be a Globe icon for you into a smiley-face Emoji. Second, you can also enable the One Handed Keyboard from the same menu in Settings. 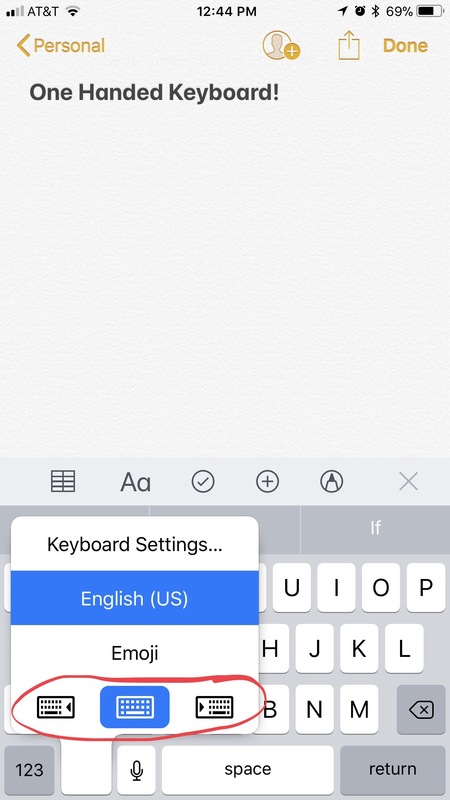 However, if you don’t turn on another keyboard and have it set up where you can toggle directly from the button on the keyboard, you would have to return to Settings to turn One Handed Mode both on or off.